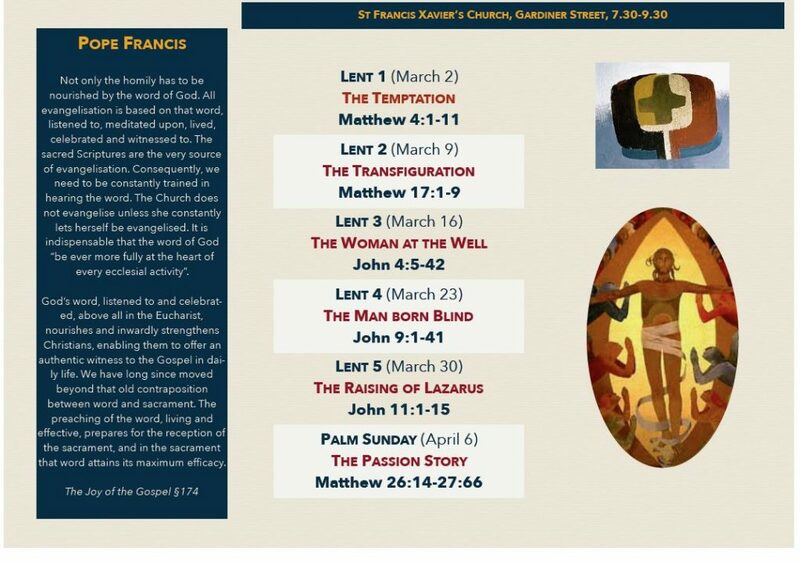 For the 6 Thursdays of Lent, St Francis Xavier’s will host Prayer and Reflective evenings devoted to Scripture with scholar Fr Kieran O’Mahony, an Augustinian priest with a penetrating analysis of the Bible. 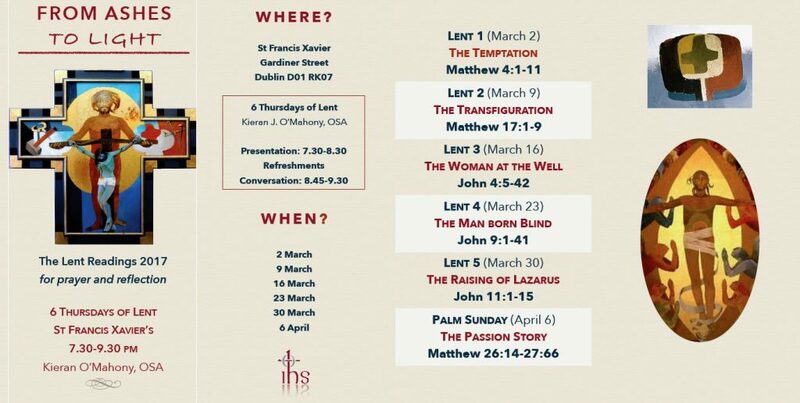 Kieran will explore the Sunday readings for Lent and offer insights to help us make the message our own. These evenings will be spiritually nourishing for everyone but especially if you’re in a Lectio Divina group. Kieran presentations are very engaging and will help bring the Gospel readings to life! Presentation with tea and a chat afterwards. “The study of the sacred Scriptures must be a door opened to every believer. It is essential that the revealed word radically enrich our catechesis and all our efforts to pass on the faith. Evangelisation demands familiarity with God’s word, which calls for dioceses, parishes and Catholic associations to provide for a serious, ongoing study of the Bible, while encouraging its prayerful individual and communal reading.